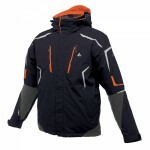 A great looking ski jacket with strategic stretch panels to allow the burgeoning intermediate (Stan been called worse) great freedom of movement. 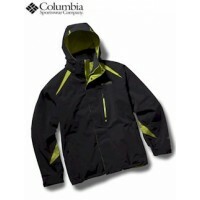 Made with Dare2b's own waterproof, breathable Ared 5000 polyester coated fabric, taped seams and water repellent finish. 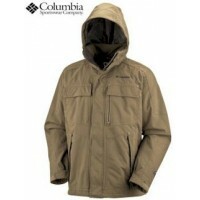 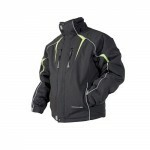 The Stand-Off Ski Jacket features a part polyester technical mesh/part polyester lining, detachable technical hood with adjuster, overlay panels on shoulders, underarm vent zips, detachable snowskirt, two-way centre front zip, 2 zipped lower pockets, 1 zipped chest pocket, inner stow mesh pocket, music pocket, external zipped sleeve ski pass pocket. 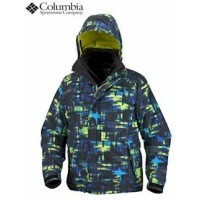 Dare2b Stand-Off Men's Ski Jacket.